Do elephants really never forget? SALA SAMUI and SALA RATTANAKOSIN BANGKOK will be offering unusual dining experiences this month. 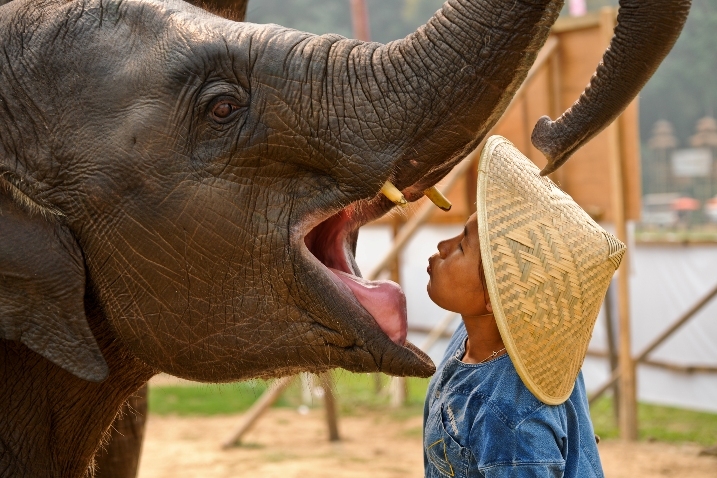 YOU CAN FIND OUT FOR YOURSELF and a few other things about elephants at Anantara’s Golden Triangle Resort & Spa, near Chiang Rai in Northern Thailand. The resort is home to Asia’s top elephant camp and its permanent elephant intelligence research program, where you can find out if elephants are the smartest animals on the planet. At the elephant camp, you can study elephant behavior and problem solving with the camp’s on-site scientific experts and interact with these “gentle beas6ts” in their natural habitat. Anantara Golden Triangle is offering a four-night package designed to provide a unique elephant learning experience. The package includes daily gourmet dining for breakfast, lunch and dinner, plus a select range of unlimited non-alcoholic drinks, house wine, beer and spirits, Internet access and roundtrip transfers from and to Chiang Rai airport. The elephant activity program includes a mahout training day, three private presentations by elephant researchers on elephant behavior, cognition and conservation, two elephant intelligence research sessions, an elephant veterinary examination and a meal with the elephant research staff. The experience begins with an evening meal and a meeting with the resort’s resident elephant researchers. Guests then retreat to their room or suite to relax on the comfy built-in sofa of the private balcony, unwinding to the sounds of the jungle by night with selections. 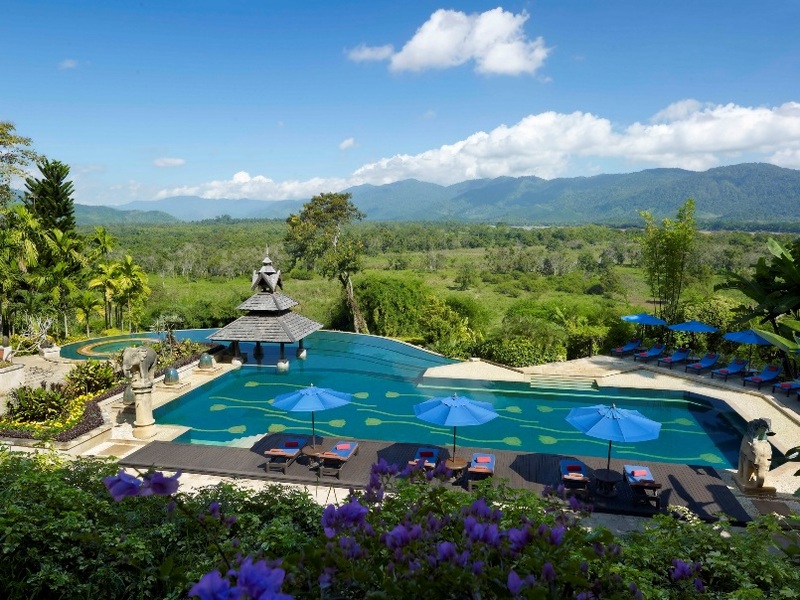 Then wake up to a view of the mist rising off the hills of Myanmar and Laos, and a mahout training session, where you will learn the Thai commands for driving one of them, before returning to the hotel for a leisurely breakfast buffet on a terrace, with sweeping three country views, followed by lunch, and later, an afternoon of elephant trekking and bath time antics in the river. This one-of-a-kind experience continues with opportunities to work closely alongside the camp’s resident, native English-speaking elephant research staff, who work collaboratively with Think Elephants International and the Golden Triangle Asian Elephant Foundation. On the second and third days, you’ll become a researcher on a hands-on study of elephant intelligence, working closely with the research staff. The study may include a test of an elephant’s sense of smell, propensity for problem-solving, or tendency to co-operate, plus listen to three talks on topics such as elephant intelligence, behavior, conservation and management, and learn why knowledge of behavior and cognition is vital for the conservation of the species. You’ll also be able to assist the resident elephant veterinarians as they perform a full examination, which may include a few surprises, and dine with the research team and tap into their wealth of knowledge. Rates start from 41,420 BHT per room per night for a Deluxe Three Country View room, for a minimum four-night stay. Due to the unique nature of this program, the Golden Triangle Elephant Researcher Experience is available on the following dates: April 1-5; May 2-6; June 19-23; July 27 -31; Aug. 14- 18; Sept. 12 – 16; Oct. 17th – 21; Nov. 4 – 8; Nov. 18 – 22; Nov. 30 – Dec. 4; Dec. 18 — 22. For every package of four nights or more, Anantara will donate 40,000 THB to the Golden Triangle Asian Elephant Foundation to help sustainable elephant projects throughout Thailand and South East Asia. SIX SENSES HOTELS, RESORTS & SPAS has launched a new website to introduce a new visual identity and positioning for its brands. The website makes full use of the group’s extensive image library, which highlights the esthetics and experiences Six Senses offers, including the beauty of its locations. 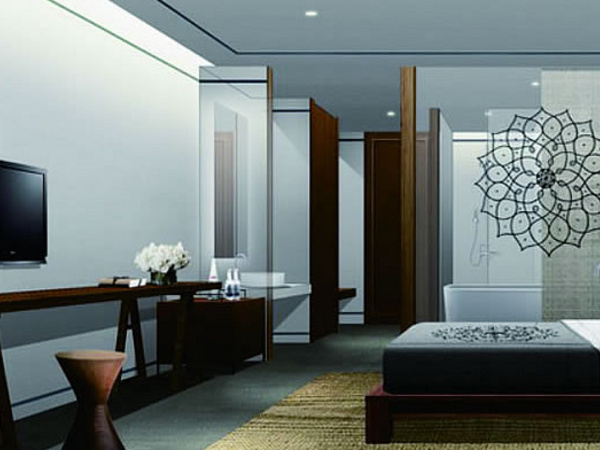 The Six Senses symbol, the highly recognized graphic of a six-sphere pyramid has been streamlined. It is now reproduced in purple, channeling the color’s association to dignity, wisdom, spirituality, vision, power and passion. The site is packed with a wealth of information that includes the all-encompassing crafted experiences and the diverse experts that support them. From visiting spa practitioners and celebrity chefs, to star-gazers, marine biologists and even a resident paragliding professional, these individuals compliment a dedicated staff who contribute significantly to Six Senses’ uniqueness. Its new website also includes a section on Six Senses Residences, careers and a look behind the brands at the group’s management style, mission and service philosophy. It also includes the Evason-branded properties, and Six Senses commitments to sustainability. 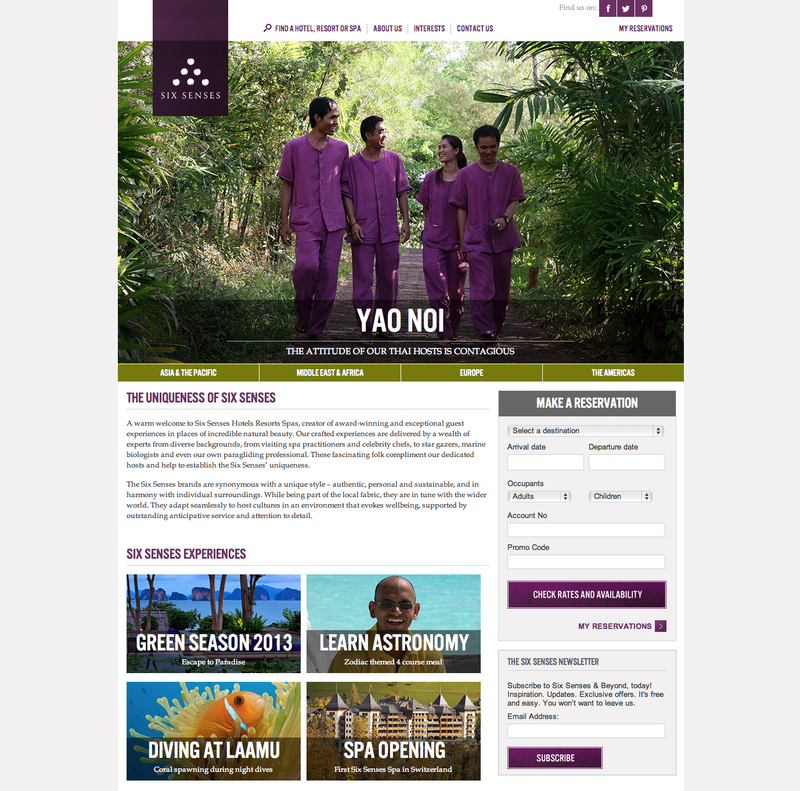 The new Website, which retains the original address –http://www.sixsenses.com – is a move to maintain and enhance the positioning of Six Senses into the future by New York-based Pegasus Capital Advisors, which acquired Six Senses in June 2012. The launch of its new online presence is just the first instalment of the new site. There will be several progressions in the near future, which will better to connect the Six Senses brand and people with potential guests, partners, experts and influencers across the social Internet. WELLNESS TOURISM is expected to heat up in 2013, according to a forecast by Wellness Tourism Worldwide. Its top 10 wellness travel tends forecast – based on consumer and business-to-business surveys, site visits, feedback from travel suppliers, destinations and sellers – health-focused hotels, reconnecting through nature, spiritual seekers, indigenous healing experiences, celebrity instructor retreats and inter-generational family holidays. In other news from the Asia Pacific Spa and Wellness Coalition (APSWC), Andrew Jacka, president of the Thai Spa Association and APSWC chairman, noted that the Thai association has broken new ground with the launch in 2012 of its World Spa & Wellness Convention in Bangkok, attended by more than 4,000 visitors from 37 countries. In 2013, the event will be extended an extra day to four days. Andrew also reported that the Thai Spa & Wellness Awards would be adding new categories in 2013. 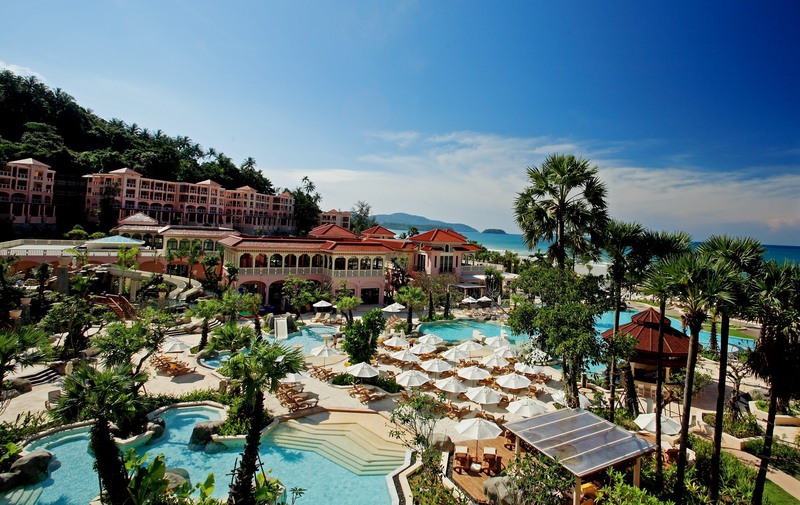 SALA PHUKET WILL CELEBRATE SONGKRAN, the traditional Thai New Year Festival at SALA Thai Village Fair, where you’ll be able to sample cuisine from Thailand’s four regions. At the Yadong Bar, there will be free-flowing Thai elixirs, draft Chang beer and selected winea through the course of the evening while you’re entertained by Thai dancers and musicians. Songkran is a favorite celebration for Thais, in which goodwill, compassion, love and thankfulness is expressed by throwing water at each other, believing that water will wash away bad luck. The word Songkran comes from ancient Sanskrit, meaning “to move or step forward”. The first day of Songkran takes place when the sun moves from Pisces into Aries, which marks New Year’s Day according to the Brahmin solar system. The cost – 1,200 BHT per person and with free-flowing beer, wine and soft drinks, 1,700 BHT a person. 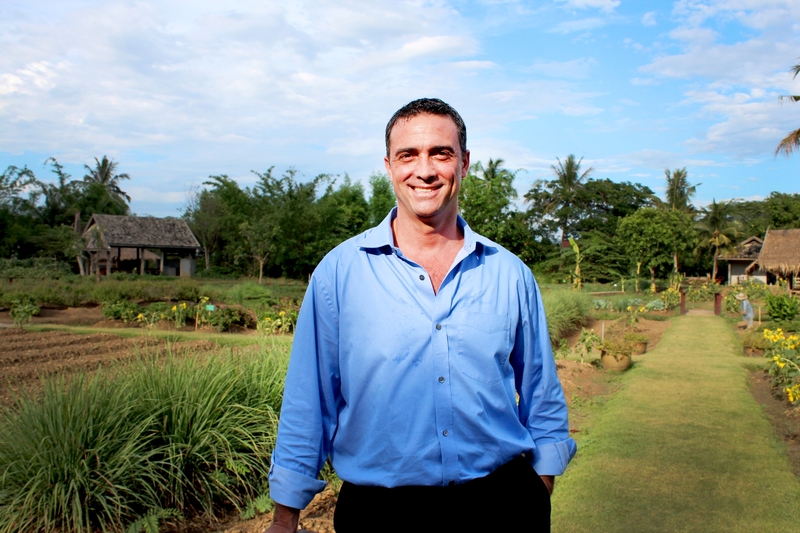 Brian Hathaway, one of the Forum’s speakers, at Mandarin Oriental Chiang Mai. THE ASIA PACIFIC SPA WELLNESS COALITION has lined up a number of high profile speakers for its Strategic Forum at the Metropolitan Hotel in Bangkok March 27-29. These include: Clarance (Toby) Allen, a strategic expert in health, tourism and day spa management, specializing in relationship building with employees, suppliers and customers. He is the founder and CEO of Oasis Spa Thailand and TAP Technology Co. Ltd.
David Binnion has held senior management positions in Hong Kong, Korea, Singapore and Thailand with a number of multinational corporations such as Johnson & Johnson Medical, Unilever, American Standard, GM and Ford. Specializing in corporate strategy, organizational structure and leadership development. He is regarded as an authority on strategic resources management in Thailand and Burma. Stuart Bold, an expert in mindfulness and positive mindset programs, teachers evidence-based meditation/mindfulness and clinical projects. He helps hotel groups establish distinctive brand-let organizations reflect their brands through a unique style of service. Samantha Foster is a director of Destination Spa Management and one of Asia Pacific’s leading spa and wellness consultants. Her background spans all aspects of the wellness industry and is an accomplished author, trainer and conference speaker. She is also the founding chair of APSWC. Anne Marie French-Cushing is a behavorial health science therapeutic consultant for Regenerative Medical Solutions and BioSky Clinics Thailand. She has developed social media marketing, mapping and communications models for clients and has produced educational video and instructional media and text-based website content. Brian Hathaway, whose 20-year career in the spa and wellness industry includes an eight-year stint with Four Seasons, initially as spa director at Four Seasons Bali Jimbaran Bay and Sayan and senior director of spas Asia Pacific and the Middle East for Four Seasons, is now at the Mandarin Oriental Dhara Dhevi Chiang Mai. Sharon Menzies is also a co-owner and founder of Destination Spa Management, which specializes in the set up and management of destination spas and wellness operations. She was previously an integral member of the leadership team at Chiva-Som. Richard Osborne, professor of health and head of the Public Health Innovation Unit at Deakin University, has led research that has resulted in tools and innovations that have been located in Australia and globally. He has also developed online health interventions in people with physical and psychological health problems and provides advice to a range of industry sectors. Alison Snelling provides customized solutions to a number of prominent organizations, including the spa & wellness industry. She has an extensive background in the hospitality industry and leads innovative management and trainer workshops, recruitment, and assessment tools as well as bespoke guest service and sales. She believes in empowering people to achieve their true potential as trainers and leaders. James Stuart is president of the Brand Company and has worked with some of the largest and smallest hotel groups in Asia, helping them establish distinctive brand-led organizations and reflect their brands through a unique style of service. 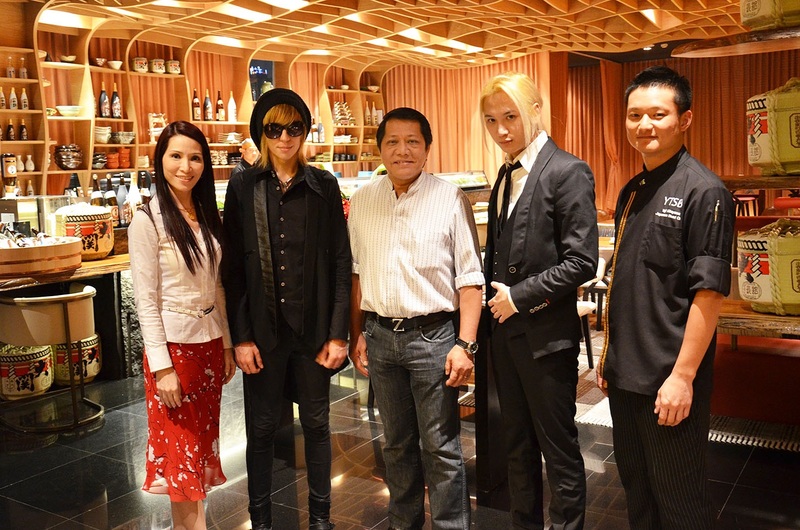 POPULAR JAPANESE ARTISTS Shintaro Mizuno and Sebastiano Serafini were welcomed to VIE Hotel Bangkok during their launch of Exclusive 1st Attack in Bangkok at YTSB (VIE’s Yellow Tail Sushi Bar). The artists stayed at the hotel’s Grand Deluxe Room. Left to right: Wannapa Rakkeo, executive director of business development, VIE Hotel Bangkok; Sebastiano Serafini; Hester Chew, owner representative of VIE Hotel Bangkok and V Villas Hua Hin; Shintaro Mizuno; and Yoji Kitayama, Japanese Master Chef of YTSB at VIE Bangkok. WITH HALF OF THE DIRECTORS of the Asia Pacific Spa & Wellness Coalition (APSWC) completing their term in March, APSWC is issuing a final call for nominations, which close this Friday. Chairman – available only to those who have served on the APSWC for a full year; treasurer; membership; social media; and web guru. 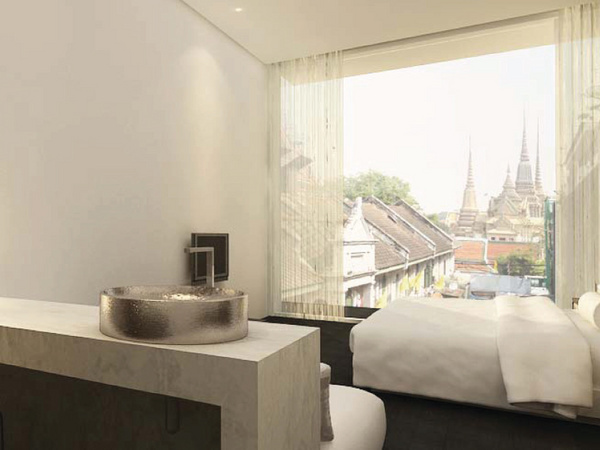 SALA LANA CHIANG MAI will welcome its first guests on March 17 – the second property in SALA’s boutique collection. SALA Lana Chiang Mai is located on the east bank of the Ping River in the heart of Chiang Mai, an area that was once the centre of the kingdom of Lanna, which means “land of a million rice fields”. As the most culturally diverse city in Northern Thailand, Chiang Mai, with its Thai and Burmese influences, has become a must-see destination for visitors to Thailand, who like its warm sunny days and cool evenings. SALA Lana Chiang Mai has 16 guest rooms and suites, including a riverfront two-bedroom pool villa suite with a private river deck. Many guest rooms feature large terraces with rocking chairs, made for watching the passing river life. The offers two riverfront dining experiences – The River, a all-day dining café which features modern fare; and Italia, a signature restaurant housed in its own riverfront structure that is already being billed as Chiang Mai’s “most engaging Italian dining experience”. Both are under the culinary direction of Chef Mirko Lacchini.